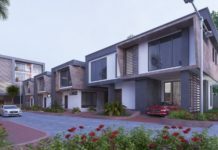 The Ghana Real Estate Developers Association (GREDA) has said it is taking an aggressive stance in improving the quality of houses delivered in the country. 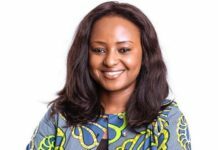 The association says it has taken note of public sentiments and complaints about the poor delivery of houses by members, and therefore promised to help address the challenge through internal controls. After an Executive Council retreat last week at Aqua Safari resort in Ada, occasioned by proposals from its Welfare, Legal and Disciplinary Committee to confront the issues, the President of GREDA, Kwakye Dopoah-Dei, said in an interview that the association will come out with an internal Quality Control & Monitoring System (QC&MS) to monitor, control and certify members’ housing delivery onto the market – ensuring quality and adherence to standards. He added that the guidelines in the QC&MS will be aligned to building codes, standards and regulations prescribed by state agencies, including that of Land Use and Spatial Planning Authority (formerly called Town and Country Planning Department) and the various assemblies. The GREDA Executive Council, upon deliberating over complaints received in the past, resolved to institute this mechanism that will provide guidance for reforming and improving real estate delivery through improved technical management and the construction processes. The adoption of the QC&MS will ultimately provide a useful mechanism to guide and control development of GREDA members’ estate, including better utilisation of land, functional alignment and consolidation of activities, and also ensure provision of the required basic infrastructure. 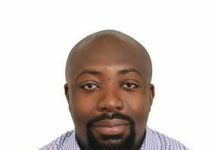 The Managing Director of Rivonia Ghana Limited – Mr. Kwakye, as he is affectionately called- is one of the leading luxury apartment developers in the high-end market space. He observed that it is paramount for the association to adopt what it terms ‘principles of development’ to help achieve greater efficiency in the long-term and minimise the risk of poor quality housing development. This is what the Executive Council wishes to do to augment the efforts by state agencies mandated to control infrastructural development in our country. QAC will be introduced by GREDA and issued to members who comply and adhere to the QC&MS. “Application of these principles will ensure that there is better quality improvement in housing, improved functionality of property units, and consolidation of quality standards across the GREDA fraternity,” he noted. 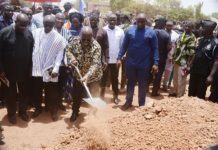 Going forward, he said, the association aims to set up an inspectorate division that will be empowered to assess members’ project sites to offer technical assistance and identify non-compliant developers, and to sanction those who fail to comply in relation to the various building codes and regulations. GREDA must take a stand against shoddy work once and for all. The technical inspectorate team will issue certificates to developers who submit themselves to the QC&MS, and will also publish names of these companies annually. GREDA however takes exception to non-GREDA builders who are developing substandard houses and selling to the general public – warning them to desist from that and adhere to the laid-down building regulation and codes. “To allow GREDA clearly disassociate from substandard developments and for the association and its members to help raise the bar for its reputation and justification in the real estate market, we intend to strictly issue Quality Assurance Certificates (QAC) only to developers who deliver in accordance to GREDA’s principles of development policy,” he said. 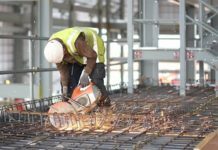 The QAC, he said, will be issued and renewed annually after GREDA member-companies meet the qualification metrics: such as technical staffing requirements, use of quality materials, application of quality workmanship, construction methodologies, quality supervision, and proper application of materials. Over the years, many home buyers have questioned the commitment of property developers to building in accordance with the rules and standards. He said: “This informed our decision to confront the issue with quality control to help restore public confidence in the association, give value for money to buyers, and to achieve genuine life cycles for the houses”. He reiterated that the Executive Council is confident successful implementation of the QC&MS and QAC will make the certificate “highly sought-after by customers as a requirement for closing property deals”. He explained that the principles of development will be focusing on major headings drawn from the Ghana Building code, which identifies specific areas that have become a major concern for clients in the industry. He mentioned adequacy offsets, building siting/orientation, damp-proof control barriers, destinations ventilation, ecosystems, building component strength, quality workmanship and sustainable waste disposal systems culminating in the qualification metrics stated above. “It will also support achieving major sales share in the industry for GREDA members,” he said. At the retreat the Council also deliberated on challenges with land acquisition and tenure in Ghana, and will soon come out with some proposals to enhance investment into the housing sector – most especially for developers. The constitution/bye-laws of the association are also undergoing review to conform with current aspirations as the association celebrates thirty (30) years this year in October, he added. 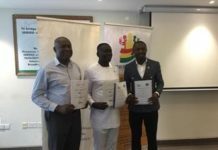 Ultimately, Mr. Kwakye Dopoah Dei said, the council expected the programme to help win back trust/confidence from property buyers, challenge developers (especially GREDA members) to deliver value for end-users, and subsequently make the association the institution of choice for serious developers and the nation as a whole. The two-day retreat was fully sponsored by Rivonia Ghana Limited.